The EuroCMR meeting is the annual meeting on CMR of the European Association of Cardiovascular Imaging (EACVI), which has developed over the last few years into the largest European CMR conference with over 1000 participants in Prague in 2017. For more information about ICNC 2019 and registration, visit the website. BCS Annual Conference is the annual scientific meeting of the British Cardiovascular Society, the professional body of the cardiology professionals in UK. SCCT is the international professional society representing physicians, scientists and technologists advocating for research, education and clinical excellence in the use of cardiovascular computed tomography. 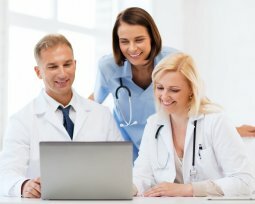 The Society of Cardiovascular CT is a professional medical membership organization that addresses all issues pertaining to the field of cardiovascular computed tomography.